Our latest research shows, employees utilize manager and peer coaching more than other types of learning and development. Furthermore, employees who prefer coaching from managers and peers are 5.6 percent and 8.0 percent more engaged, respectively. While developing a coaching culture within your organization is no overnight task, it’s not impossible. 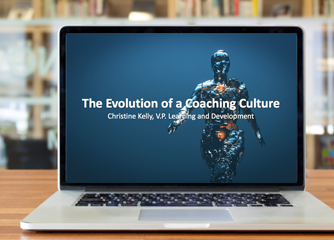 Join Getty Images' VP of Learning and Development Christine Kelly as she reveals how their organization is embracing and evolving a coaching culture.